Arr me hearties! Yar should watch thar that advertisement otherwise yarr be no unnerstandin the rest of the post! You’re thinking “just how would such a sea-fairing vessel perform in a wartime situation, perhaps if attacked by pirates off the east coast of Somalia? For surely it is manned only by several dozen school children, a slightly eccentric and creepy old man, and they are armed with nothing more than several hundred rounds of a delicious breadcrumbed savoury snack? Well, my Facebook page was full of ideas when I asked them about their Favourite Fish Finger story (FFF story)! My Facebook friends are about as much use as a drunken shower of clowns. 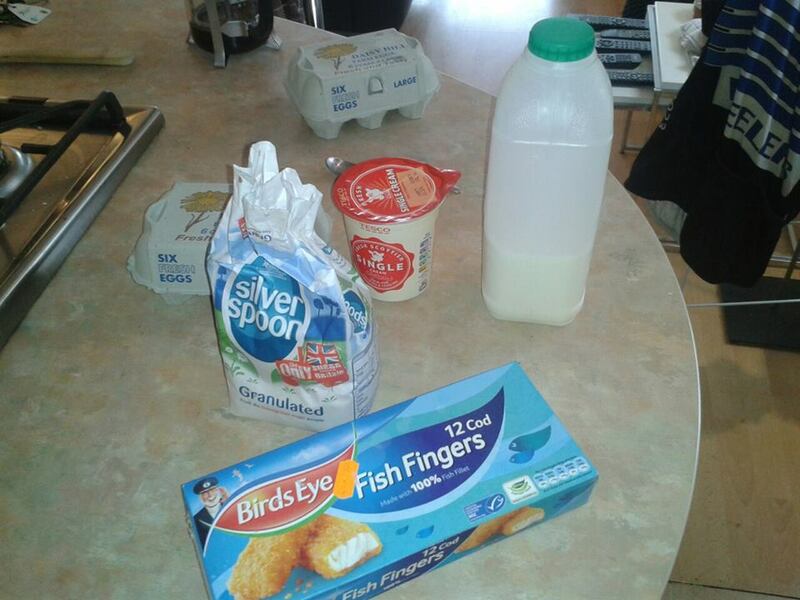 But then I had a brainwave….fish, frozen, packet, birds, captain…. Fish Finger flavoured ice cream!! This is going to be BRILL! I start by making the creme anglais: I heat the milk and cream in a sauce pan and in another bowl whip the sugar and the egg yolks. 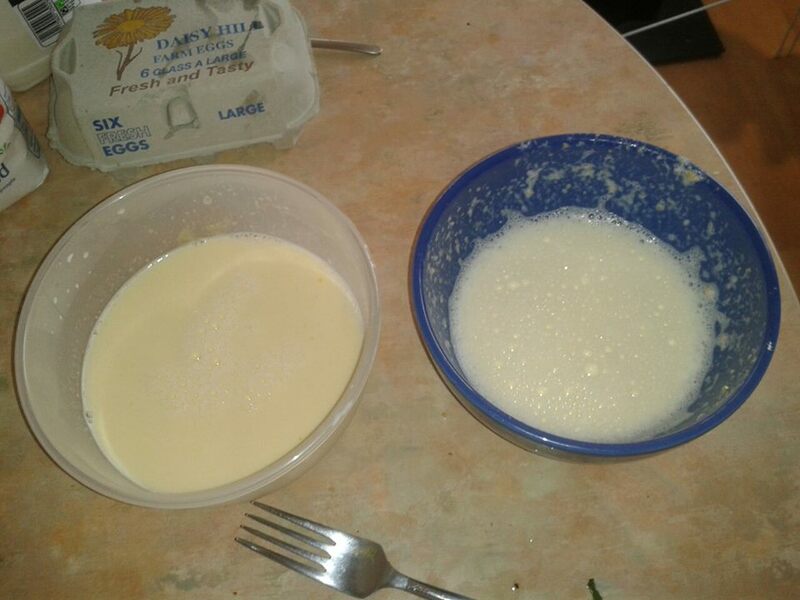 When the milky cream is just too hot to touch I add to the egg mix (not other way round). This is your ice cream base. 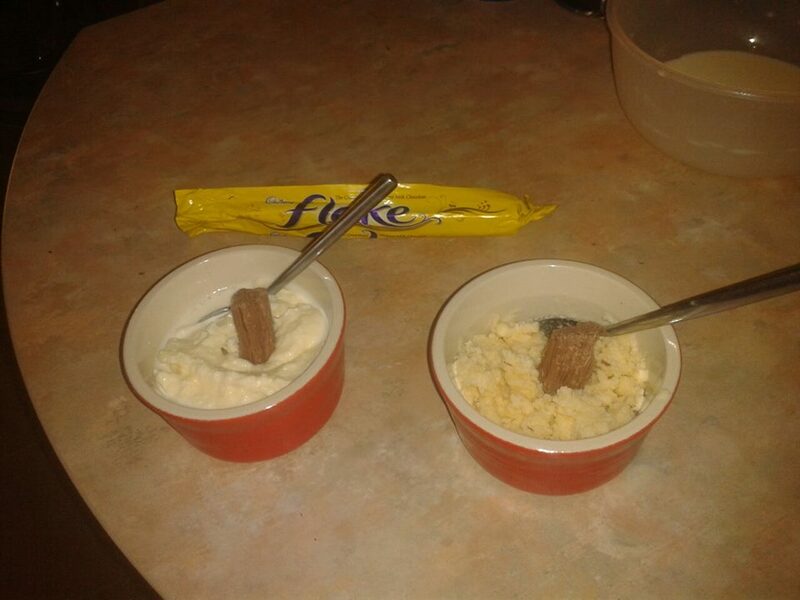 On the left: plain; right: blended with Fish Finger. And I’m going to pop these into my professional chef’s freezer and will hand beat over the next two hours until they set properly. After which I have these! Annnnnnnnd how do they taste? 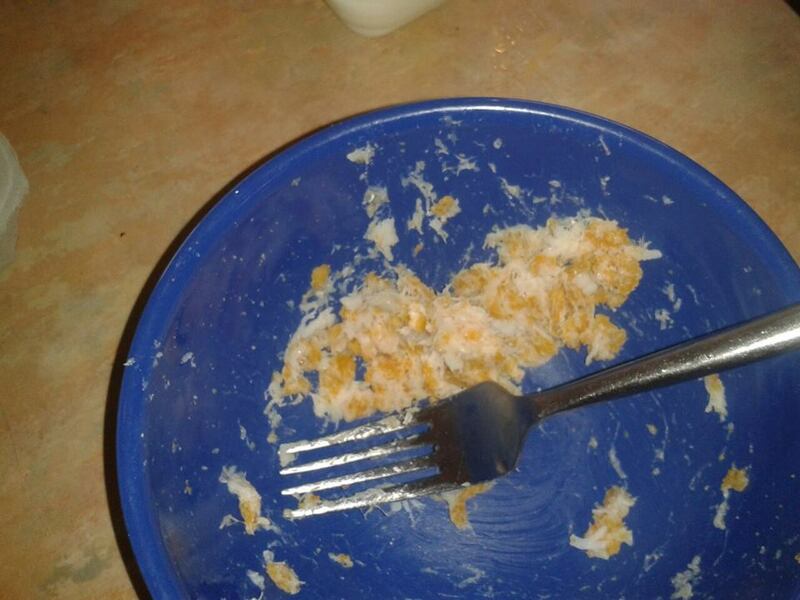 Well mine is fine and I eat all of it and want more. 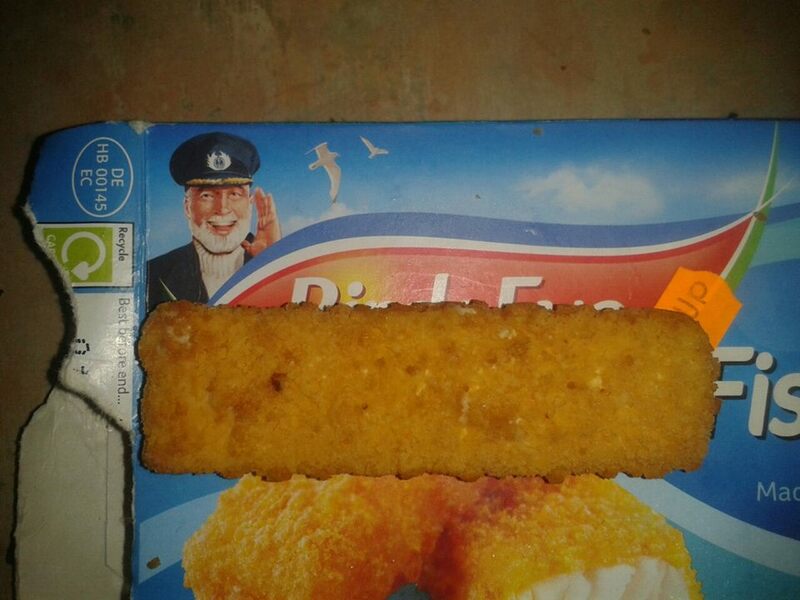 Onto the Fish Finger one…. This a strange experience; at first it tastes just like normal ice cream, but like a stealth assassin, wave upon wave of weirdness creeps up on you; first its the salty taste, then the strange breaded taste of the coating and then an ultra subtle Fish Finger Flavour. It doesn’t taste fishy by the way, just very strange. After a few more tries I come to the conclusion that it is pretty much disgusting and it makes me feel sick. The chocolate doesn’t help it much either. So another inspired recipe dashed against the rocks of another culinary disaster arrr! So, do like ice cream? Do you like th’ Cap’n? Haaaarrrrr! Be off to ye Facebook page wit ya!